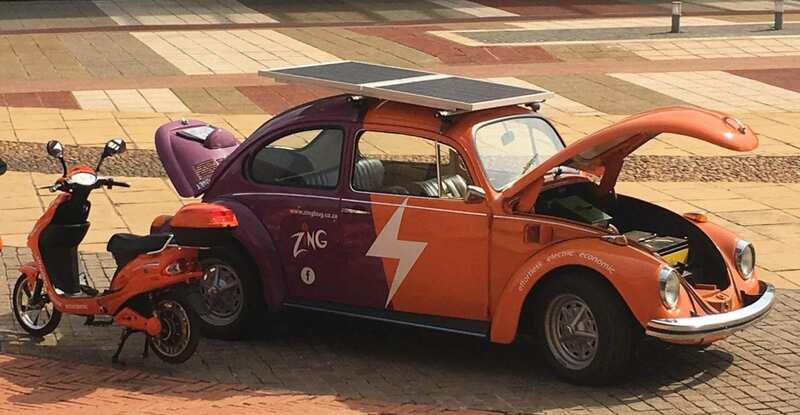 There has been a lot of focus recently on electric vehicle batteries with companies rushing to secure battery supplies for the expected increase in EV models from 2019 onwards. Issues with battery production were one of the main causes in the slower ramp-up of the Tesla Model 3. The picture is slightly different in China where there is an oversupply of battery production capacity. China saw a rush of companies to profit from the Governments support for the establishment of the electric vehicle market. As much as 150 companies were created between 2015 and 2017. In 2017 the combined capacity created was 100 GWh. This week Chinese Industry body ChinaEV100 reported that only 40% of the 200 GWh production capacity was used in 2017. The report coincided with China’s third largest producer OptimumNano Energy announcing that it will suspend production for six months. Of the top three producers, the recently listed Contemporary Amperex Technology (CATL) is the only producer running at near full capacity. BYD, the second largest producer, only utilized 40% of its capacity in 2017. BYD, which is also the top EV producer in the country, announced earlier the year that it would start producing batteries for other auto manufacturers. This week BYD and Changan announced that it is to establish a 10 GWh EV battery JV in Liangjiang New Area, Chongqing. Automotive News China reported that CATL would expand to Europe, building a plant in Erfurt, Thuringia to supply batteries to BMW, which awarded a €1 billion contract to Chinese battery maker recently. This week also saw the official opening of the 192,000 unit EV battery joint venture between CATL and Dongfeng in Wuhan. The RMB100 million 9.6 GWh plant is a 50/50 JV is named Dongfeng Amperex (Wuhan) Battery System Co., Ltd.
ChinaEV100 said it expected more battery companies in the coming year to join the 50 that already closed shop. It’s not only the unchecked rush to build battery production capacity but also the recent tightening of technology requirements by the Chinese Government. New rules state that only EVs with a battery energy density of 105 Wh/kg qualifies for subsidies, impacting low-cost low-quality producers. In the meantime, Nissan canceled the sale of Automotive Energy Supply Corp (AESC) the battery JV it founded in 2007 with NEC. Nissan agreed to sell the company to GSR Capital in August 2017 for an estimated $1 billion. The Chinese company failed to raise the required funds by the extended deadline set for the end of June 2018. It is unclear what Nissan’s plans for AESC are since it already changed the future supply of EV batteries for the Leaf from AESC to LG-Chem. China’s top pure electric EV producer BJEV this week introduced a battery swapping service. The service is at first only available for BAIC EV300 owners. The BAIC EV300 with battery swap option sells for 79,800 yuan after subsidy with a monthly subscription of 432 yuan. The BAIC EV300 comes with a three-year buy-back option. Other Chinese automakers such as NIO and BYD are introducing the same service to draw more customers. BJEV will start with 100 stations in Beijing. Battery swapping is not expected to take longer than three minutes, less than the average 5 minutes spent refueling a combustion vehicle. Audi’s announcement last week that it would delay the launch of the e-tron Quattro due to the arrest of its CEO in the #dieselgate investigation has caused a marketing headache for the German company. To fill the uncertain void the company this week released more teasers of the highly anticipated luxury SUV. Audi showcased the interior of the e-tron Quattro at the Royal Danish Playhouse in Copenhagen. Here are some images from the press release. While global EV sales are up around 70% for the year to date compared with the first six months of 2017 sales for the Chevrolet Bolt EV flatlined in its key markets Canada and America. A lot of speculation has been levied on why sales for the “mass produced” Chevrolet faltered. Some commentators suggested that stockpiles at dealers were tight due to the limited production of only 30,000 units per annum. Analyzing sales for 2018 GM has only been able to sell around 1,540 units per month in the key North American market, up only 3.7% on the first six months after the Bolt’s launch at the start of 2017. Sales for the European version, the Opel Ampera-e was up 60% but this analysis is skewed since the Ampera-e only reached Europe’s shores in Q2 2017. When comparing H2 2018 sales in Europe with the first 6 months of sales in Europe (Q2/Q3 2017) sales are up 15%. Surprisingly GM sold nearly 3,000 units of the Bolt in South Korea in Q2 2018, more EVs than local manufacturer Hyundai, indicating that GM is opening up specific international markets for the Bolt EV. My take on the shift in sales is twofold, firstly it is an indication that the arrival of the Tesla Model 3 in significant numbers since the start of 2018 is hurting the demand for the Chevrolet Bolt, and secondly that GM is trying to make hay out of Tesla’s delayed ability to bring the Model 3 to international markets. Tesla has been criticized by some analyst for not making the best of its lead in the EV sector as it will start delivering the standard Tesla Model 3 in mass only a couple of months ahead of the competition such as the VW I.D. Neo and BMW Mini EV. This week’s press release by GM confirmed the international expansion plans for the Bolt with a planned 20% increase in production from Q4 2018. 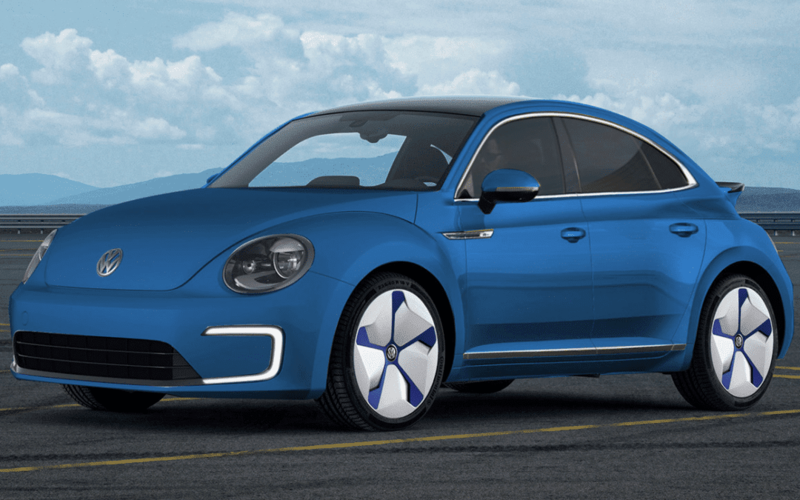 TOP EV NEWS #4 – ELECTRIC VW BEETLE IN FOUR YEARS? Another possible disruption for the auto sector but more localized is Brexit, in particular, a hard Brexit where Britain completely exit from the EU single market. Brexit has already dampened investment in the resurging UK vehicle manufacturing sector. This week Carl-Peter Forster, chairman of Geely owned London EV Co (LEVC), producer of the TX electric taxi joined the chorus of industry players warning of the detrimental effect of such a move. Brexit is expected to impact on the auto supply chain and hamper the movement of British made products to mainland Europe, not taking into account potential levies on UK EVs. Nasdaq listed Baidu and commercial vehicle manufacturer FJ Motor started production of the first mass-produced autonomous transporter, the Apolong. Baidu, the largest search engine in China, and King Long started working on the Apolong in late 2017. The developed was managed by Baidu’s Apollo unit, created to spearhead the company’s autonomous vehicle program, in the same fashion as Waymo was created by Google. The Apolong can carry 14 passengers, eight seating, and six standing. The Apolong is equipped with the Apollo 3.0 autonomous system allowing for Level 4 self-driving and has no steering wheel. The assembly plant is at FJ Motor’s King Long unit in Xiamen, Fujian province has produced 100 units of the autonomous minibus to date. Baidu will start exporting the Apolong to Japan in 2019 in conjunction with Japanese company Softbank where the vehicle will be deployed as shuttle buses for the elderly and staff at Nuclear plants. Although Leve 4 autonomy is not fully autonomous, it does allow the operation of a vehicle within an enclosed location without a human driver.